Sara Safavi is a “software developer with a geohabit” in Austin, TX. She spent many years in the GIS trenches before eventually transitioning to full-time developer at Rackspace. She also moonlights as a geospatial consultant, specializing in clients looking for cost-effective, “real-world” solutions hybridizing open source technologies with existing platforms. Outside of work, Sara organizes two local community groups: Austin Open Source GIS & PyLadiesATX. She’s also frequently found teaching workshops — primarily Python and/or GIS-centric ones — and evangelizing all the open source geo-things. Find her on twitter @sarasomewhere. She’ll also be at FOSS4G-NA this year — look for the crazy hair and say “hi!”. Sara was interviewed for GeoHipster by Jonah Adkins (@jonahadkins). How did this passion for “open” evolve for you? A: When I first got access to a computer, I was lucky enough to be told: “Do what you want on this machine, learn about it, play with it, and if you break it I’ll fix it.” That put me at ease and let me experiment. It also gave me a sense of control and ownership: computers for me were never some scary unknown that came with a vague sense of this-is-not-for-you. When I later got involved with open source communities, I found a similar combination of freedom and safety net that enabled independent learning. Those communities tended to be built around shared interests and goals, and everyone shared enthusiasm for the same things. Plus, I really loved that I actually got to talk to the people who were making things and get involved in finding solutions to shared problems. Eventually I started to help other people with some of the things I had learned — not in a really huge way, but it was still such an empowering experience that I really latched on to Linux and open source software. A lot of my early experience with GIS was using proprietary software which had bugs and limitations which regular users couldn’t really do anything about, while outside of work I was using a lot of open source tools which were just so nice to use. I realized that the proprietary tools everyone took for granted were often more of a hindrance than a help. Although open source tools may be harder to discover, proprietary tools tend not to be geared to extension or giving power to the user, so the end result is frequently reduced productivity with greatly limited flexibility. Add in the matter of open source software having, by definition, vastly broader accessibility, and it was really no longer a question for me. Essentially I like the combination of the empowering support that you can find in the “open” communities with the flexibility and just plain utility of open source software. We share solutions and data because we’re all in this together. Likewise, a lot of the outside-of-work things I do now involve building communities that try to allow others to find the same kind of support, and feel enabled to learn new things. Q: I met you last year at the Esri UC where you organized a great Open Source Lunch & Learn. You also organize Austin Open Source GIS and PyLadies ATX. How important is networking to professionals in tech fields? A: When I hear the word “networking”, I think of that check-out-my-cool-business-card, let’s-make-5-minutes-of-awkward-conversation-then-maybe-never-speak-again thing we do at big conferences and business events. It’s probably a necessary function. As an industry we all basically agree that this kind of face time is what we use to build our professional networks. And something, something, jobs, right? But what I try to make happen with the things I’m involved in, and the groups I organize, is something different. What I’m really, really passionate about is this idea of bringing enthusiasts together, creating comfortable and safe spaces for learning, and opportunities to grow collectively. That kind of networking is what really makes me happy: connecting people who want to learn something, try something out, toss around ideas — do something new. And because my experience and interests are so closely tied to both programming and GIS, most of what I do regarding community building is within the mutual orbit of those two worlds. So this is what I enjoy most. But what I’m always wanting to ask people is, what makes you excited? What are you so enthusiastic about that you can’t help but tell everyone about whenever you can? I promise you there is someone else with at least a tangentially related passion around here. Find your tribe! Find that group of people that can say “Wow, cool!” about the same things that make you say “Wow, cool!”. That’s where growth happens — and that’s where it’s most fun to be, too. Oh, and I’m so glad you enjoyed the Open Source Lunch & Learn last year. One of the things I loved about that event was the fact that there, in the middle of the Esri UC, for one hour we weren’t just trading business cards and looking for the next job opportunity or new shiny thing to buy. Instead we were a tribe of folks excited about the same ideas, showing off cool things we’d built, sharing the same spirit of open — and that was awesome. That’s the kind of “networking” I’m interested in, and what I want to create more of. Q: You are currently a developer at Rackspace. You’ve been a GIS admin, analyst, and a consultant. What’s been your favorite project thus far? I love working on projects that, big or small, simply make things better for a particular audience or user. That’s really, really unspecific, I know! But if the project I’m working on doesn’t have an end goal of getting a user to grin and say “Whoa, thanks!”, then frankly that project’s probably boring. One of my earliest Python+GIS projects was just a lot of geoprocessing glue-code that took what was once a multi-hour manual process and turned it into a streamlined 10-15 minute automatic job. That was awesome, because there were a small but happy handful of folks (myself included!) on the receiving end. And more recently, whenever I’m building a web map or app, that moment when the people I’m working for first see their data and ideas go “live” is always great. Then again, I also love seeing the horrible, messy, Goldberg-machine travesties that should never see the light of day, but nonetheless exist because of whatever nonsensical constraints they were given. These things that absolutely solve a pain point and defy logic by just working within the artificial constructs that forced their creation, but just are… comically bad, because for example you’re not actually allowed to install any additional software on the system that will run this tool. I’m talking about nasty things like PowerShell-Python-SharePoint monstrosities that we don’t talk about in polite company. Those are awesome too, for different reasons. Q: Looking at your talks page, and having been present at some before, you cover a wide range of technologies. What tips would you give for keeping up with many different tools at once? Is there an emerging tool you are excited about? A: It’s funny, all I think is how there are so many technologies that I don’t know or use regularly! I think the subset of tools that I work with regularly (both dev-tools and geo-tools) are constrained to a specific domain: web-stuff, primarily, and all things related to getting maps, tools, and applications to a distributed audience. But outside of that, there’s plenty that I would love to learn more about, if I just had the time. On emerging tools — the geospatial universe is so huge and diverse, that I know there is a ton happening right now that I’m not specifically aware of. We have so many sub-sections that are just completely hidden from view if you’re not directly involved in their area of focus. Pick a niche, and there is probably some awesome tool being developed right now by an anonymous GIS-something person who probably doesn’t even consider themselves a “developer”, but nonetheless knows exactly what they need to fix their domain-specific problem, and are just working to get this done now. And it’s most likely great, a perfect solution to an ongoing saddle burr. Raise your hand if this is you! You’re probably not the only one with a hand up. Because at heart, that’s what we are: stubborn, persistent, get-this-done types, who happen to share an insatiable curiosity about knowing how things connect — and we’re all just doing the best we can to answer the question of “where”, with whatever resources are at hand. CartoDB. They’re not really ‘emerging’, but since this past Fall they’ve really started taking off (i.e., I can now mention them in non-geonerd conversation and still get nods of recognition). What I love about them is how easy they make it for non-mappers to become mappers, and for non-developers to make a web map. I’m all about sparking interest and lighting fires where once there were none! Someone recently asked me for help making a web map (because I’m that developer-person, and web maps are hard, right?) and it was so cool getting to show them how easy it was to take a spatial layer they’d created and near-instantly make it publicly available as a web map. Another not-totally-new technology, but since they’re still deep in beta I think they count as “emerging”: GeoGig. Git for geospatial data. For those of you not familiar, this is about building “version control” around your spatial data: tracking historical changes to files over time. This is something that traditionally has only been used by programmers on their code, but absolutely should be something GIS professionals use on our data too. I can’t wait for this to be the new normal in our industry. And everyone’s saying it, but TurfJS is going to be a game-changer. My opinion’s especially influenced by my past life as a gov/mil GIS-something, and how much of that time I spent fighting the non-local nature of certain web GIS tools (and the “you can’t install that!” nature of everything else). An open source client library like TurfJS is going to be absolutely huge for a lot of people. Q: Cartographer to developer — your favorite map(s)? A: Oh no, another “I can’t pick a favorite” answer! Basically all of the work done by Andrew Hill in conjunction with CartoDB. He makes some gorgeous maps on that platform (like the directional river flow map) and pretty much all of them remind me why I don’t try to be a cartographer. The “Nobody Lives Here” map by Nik that took the internet by storm last year. Yet another of those “this is why I’m not a cartographer” maps, the idea is deceptively simple and the result is just so cool. NOAA’s GOES imagery. As a weather geek who spent years living on the Gulf Coast (hurricane country), I’ve spent way too many hours engrossed in the NHC’s satellite loops. 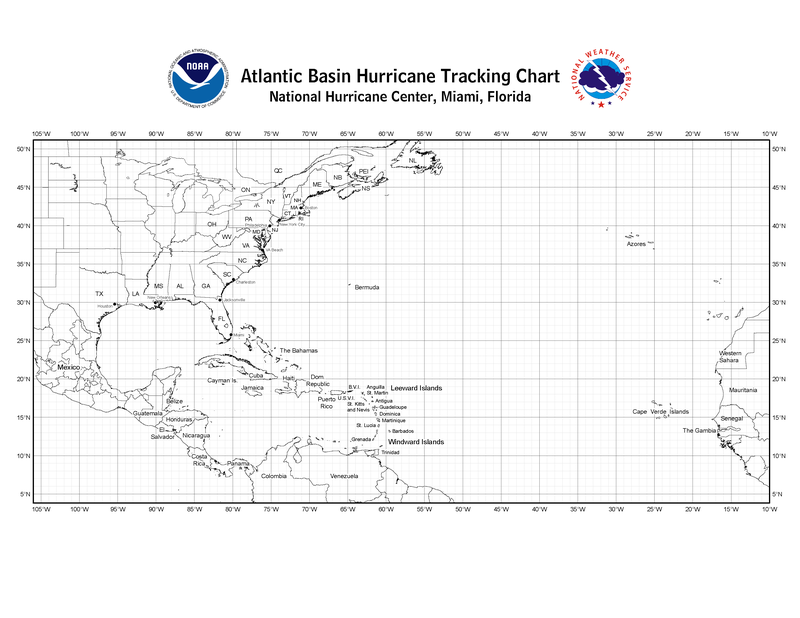 For that matter, I have a soft spot for hand-drawn hurricane tracking maps, of which I’ve made my share. Basically any map example used in the fantastic “How To Lie With Maps”. There’s a chapter that walks through cartographic tactics used by Cold-War-era Soviet mappers, and it’s just incredibly interesting to read. Q: You live in the hipster capital of the U.S. — Austin, Texas — and you’re in Geo. I think that technically makes you more geohipster than all of us. What does the term mean to you? A: Oh good, at least I get to be some kind of hipster! I’m pretty sure I’m not whatever kind of hipster we’re the capital of here (or wait, does it make me a hipster to say that? Now I’m confused…). I’m not really sure what “geohipster” means, but I guess part of the movement is that it can be open to individual interpretation. One thing I’ve noticed is that the people who claim the label are all pretty interesting folks, who tend to be the outside-the-box thinkers. There’s a bit of a spirit of nonconformity in the community that seems closely tied to learning, using, or building new things. Not just focusing on the next big thing (though we have that, too) but really talking about what might make the world better (whether it’s a tool to make someone’s job easier, or crowdsourcing maps to improve emergency response). Being willing to go against the flow and try something different is something I see in common among the geohipster crowd. So, if being “that chick with the weird hair that talks a little smack about Esri and wants everyone to learn to code” makes me a geohipster, then it’s a badge I’ll proudly wear. Thanks!